I've been a fan of Stuart Woods forever. He never disappoints believe me. 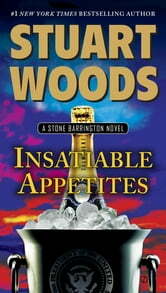 Insatiable Appetites is another 'best' on my list. Every time I read one I wish it would go on for much longer. He always manages to make you laugh with Stone's antics with regard to the women he tumbles into bed with. Talk about a man with lust! No matter, to know Stone & Dino is to love them both! 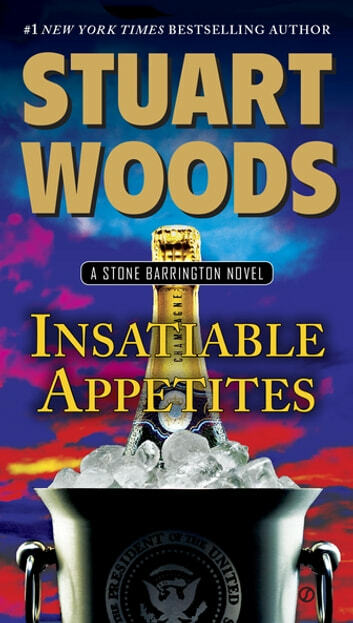 You will never regret a Stuart Woods book purchase! I can say I've bought every one of them and so look forward to the next one. Try him and you'll buy him! This book did not flow well and it left you hanging at the end. Is there a sequel?? I would not recommend this book to anyone. It seems like he is writing this book just to keep the name "Stone Barrington" alive for those who follow this character. Maybe it was to soon to read an other Stone Barrington novel as it seemed like same plot with a few new characters. As they were books I enjoyed reading from the start of series had to give book 4 stars because if one hasn't read others of these books it is worthy of this rating. Excellent story and hope there is afollow up. I have read all of Stone Barrington and waiting for a new one- Great reads. Thanks.